We have been packing in a lot of fall fun & activities lately. We visited a corn maze recently. In the maze there was a series of questions at each checkpoint in the maze leading to the maze’s end. All of the questions were about turkeys. My daughter was excited every time we found a checkpoint. We asked her a question and would try to figure it out all together. She thought it was especially funny when she found out that the red thing dangling from its neck was called a wattle. She still found it funny last night when we made a turkey craft. 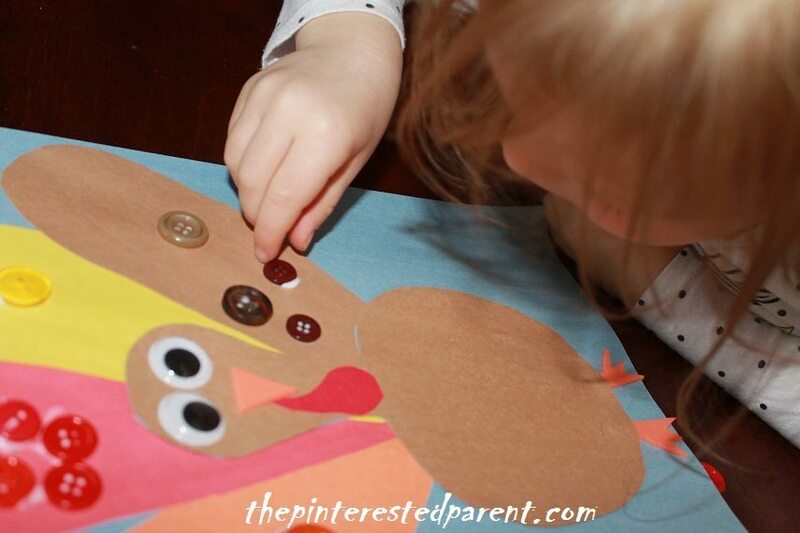 Our turkey craft matched up colorful buttons with the coordinating feathers. 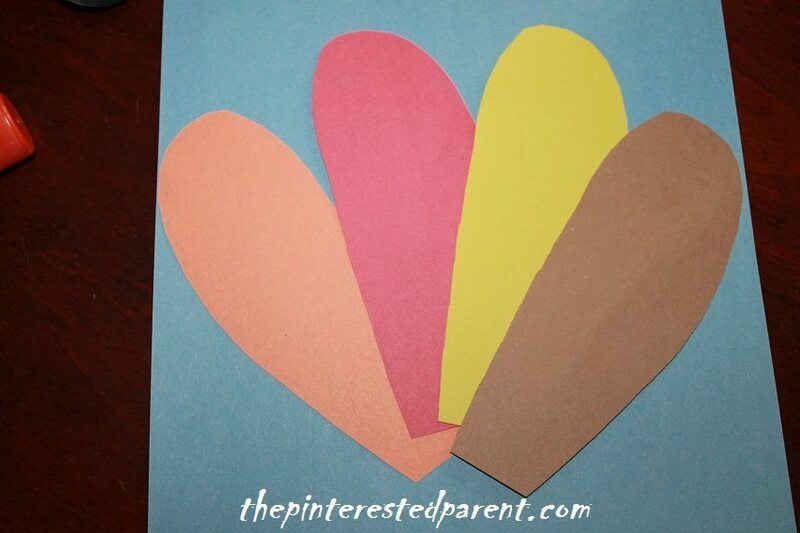 Cut out shapes for the turkey feathers out of construction paper & then glue onto another piece of paper. 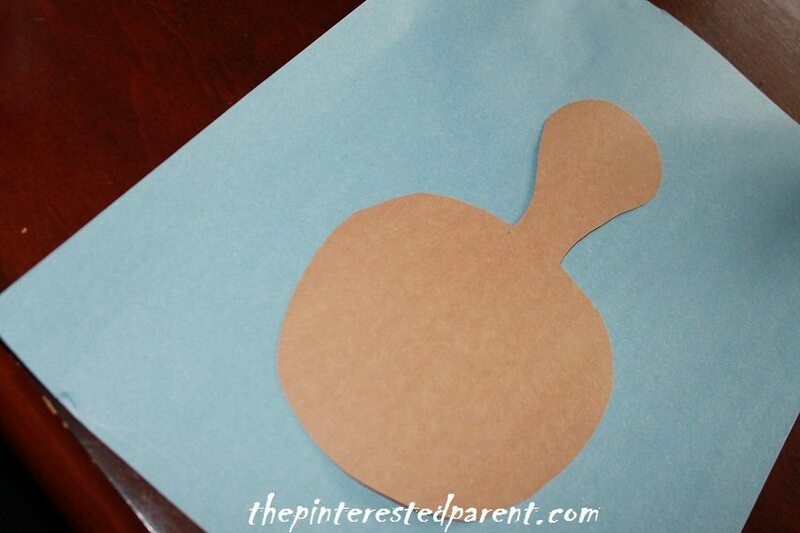 Cut out a shape for the turkey’s body. 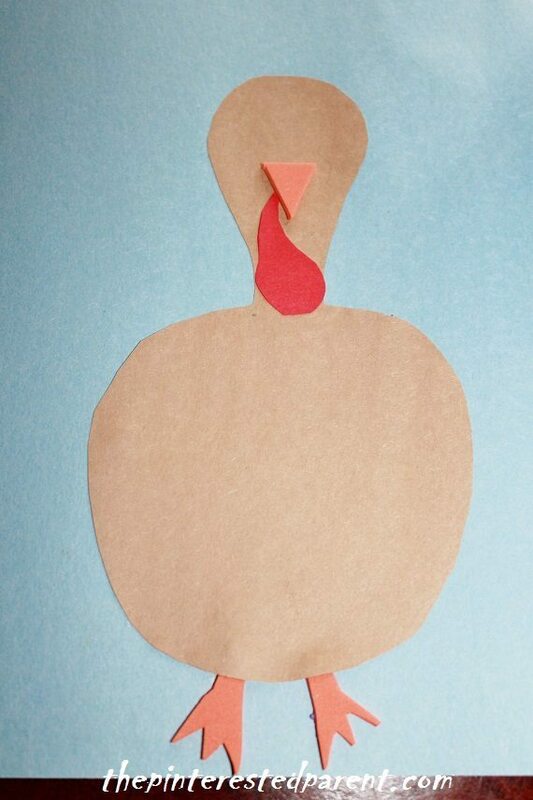 Cut out the turkey’s feet & beak & glue them onto the turkey. Cut out the wattle (still funny) & glue it to the neck. 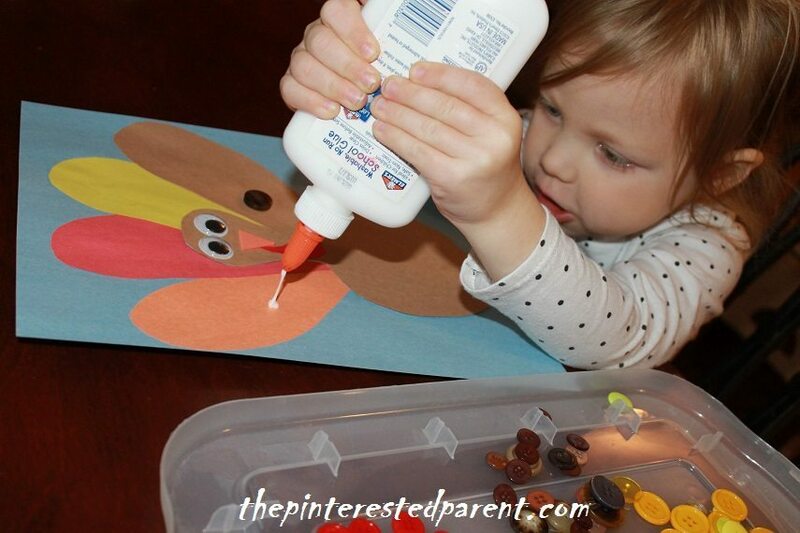 Glue the turkey body over the feathers & add a pair of googly eyes. Sort out the colored buttons that coordinate with the turkey feathers. 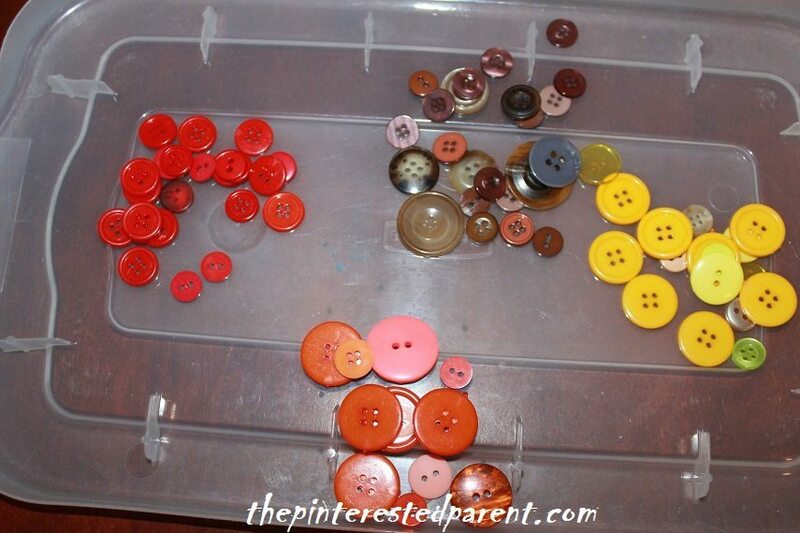 Have your child glue the buttons onto its coordinating color. Our turkey came out adorable, wattle & all. 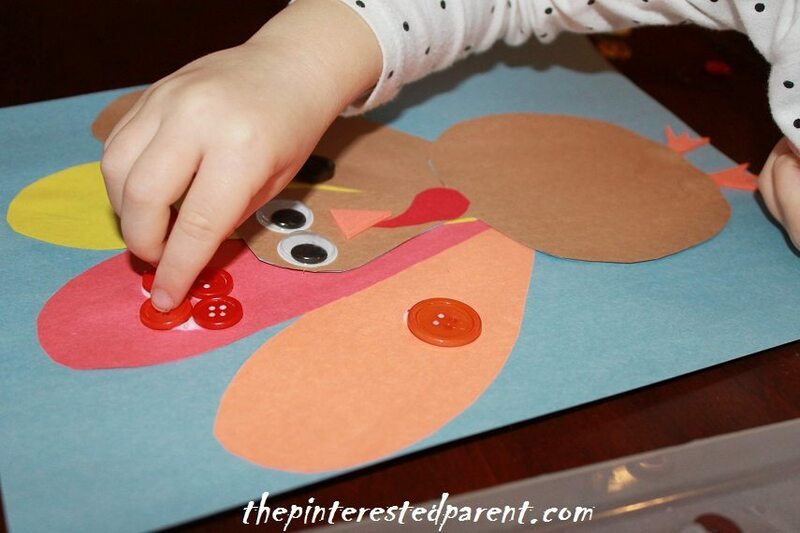 I can’t wait for more turkey crafts.